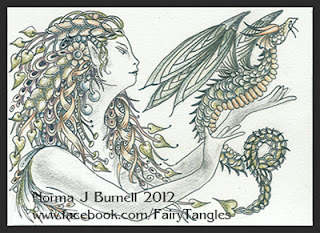 "Flight", Fairy-Tangle™ Art Card, 2.5x3.5 inches. Micron pen, graphite, tinted graphite and touches of clear star glitter pen throughout....sparkly magic! 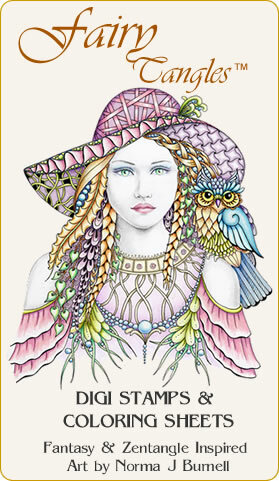 Draw on 400 Series Bristol Board. The glitter pen doesn't show up on the scan, but I've used "clear star" glitter pen throughout, adding a bit of sparkle and magic.